Will is a teen searching for his purpose in life and trying to figure out how to use his talents for God's glory. He finds his answer on one fateful night at church when his mentor shows him a not-so-ordinary storage room. They are transported to a world of fantasy filled with monsters and danger, illustrating the spiritual battles that everyone goes through. Besides trying to survive the storage room, Will has to figure out how to use it in order to serve God and fulfill the purpose set out for him. Daniel Wilson graduated from Faith Christian School. Through his high-school years, and even beyond graduation, he was a lone wolf. When he isn't lost in the labyrinth of his imagination, he loves to find ways to help people, yet remain in the background. He continues to work on his stories. "The Storage Room is an insightful cause-and-effect tale of how the unseen world impacts our current circumstances. It has a storyline that is riveting and brings the reader to a place of personal reflection." "I enjoyed reading The Storage Room immensely! I love how the truths of the spiritual world come alive and are told in such a way that you do not even realize you are being taught spiritual lessons. The Storage Room teaches young people that they can have a huge impact on the world around them with the weapons God has given them. Overall it is an excellent book!" 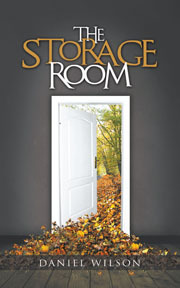 "The Storage Room is a gripping work of Christian fiction. Mingling apparent fantasy with reality, readers will gain insight into the spiritual and physical worlds and find themselves wondering how the spiritual world influences their everyday lives. I found the book to be exciting, well-paced, and thought provoking." "Excitingly creative! It's full of action, heavy on the humor, and is an allegory to the Christian faith. This book shows how our choices can affect the lives of others, either for the kingdom or not. Following God's will for our lives can be difficult at times, but as long as we remain in Him and follow His leading, we can make a huge impact in the lives of others, as well as our own. Well done!"